Like David Dale Owen, Dr. Norwood was a medical doctor who became the first state geologist of one of the United States. Because of political differences, Dr. Norwood was removed from his position in Illinois in 1858, even though he had finished a 1000-page formal report, approved by the necessary committee, that the governor refused to publish. Dr. Norwood started the Illinois State Collection, which was widely praised for its size and excellence. Mysteriously, only one type-specimen from the original collection appears to have survived. C. Kimberling, "David Dale Owen and Joseph Granville Norwood: Pioneer Geologists in Indiana and Illinois," Indiana Magazine of History, 92 (March 1996) 2-26. 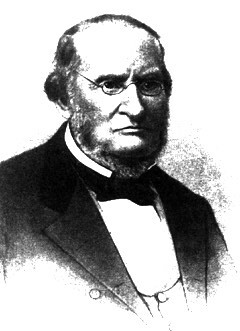 From 1851 to 1858, Dr. Norwood was Assistant Geologist of Missouri, and from 1860 to 1880, Professor at the University of Missouri, and for several years, Dean of the Medical College of the University of Missouri.